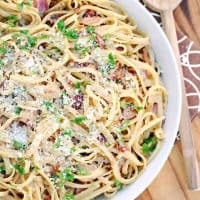 LEEK AND BACON LINGUINE — Fresh leeks, bacon and linguine come together in a simple butter cream sauce. Leeks are one of those vegetables I’ve grown to love. 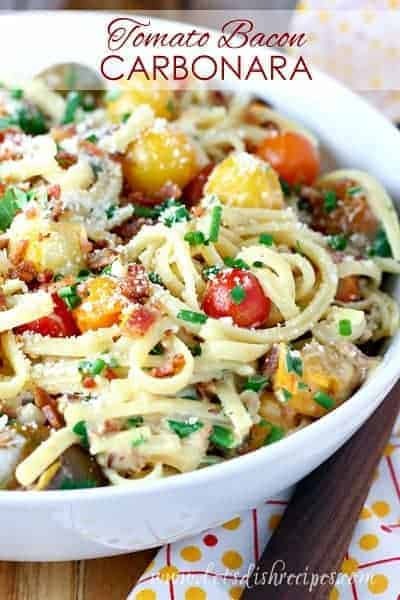 They’re definitely the star of the show in this Leek and Bacon Linguine! Leeks add a wonderful, slightly sweet flavor to soups and pastas, and believe it or not, leeks are pretty amazing on their own. Check out this recipe for Sautéed Buttered Leeks to see what I mean. When choosing leeks, look for slender, straight plants with fresh green leaves. If they’re more than about 1 1/2 inches wide, they might be tough, and less tasty. Avoid leeks with wilted or yellowing tops. Leeks tend to get pretty dirty, so be sure to wash the dirt out of all those layers once you’ve cut them open. In most recipes, like this Leek and Bacon Linguine, you just want to use the white and pale green parts of the leek. The green tops are way too tough to eat on their own. I know there aren’t many things that don’t go well with bacon, but leeks and bacon are a pretty perfect match. Especially when they’re tossed together with some pasta, and a bit of butter and cream. It’s a wonderful combination of slightly sweet, savory and salty. 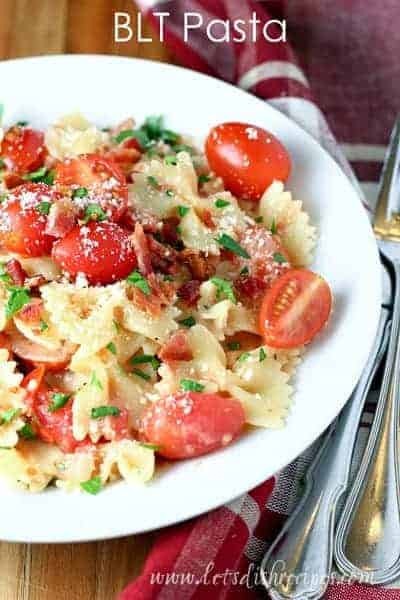 And this dish is so easy to prepare, you’ll have dinner on the table in about 20 minutes! 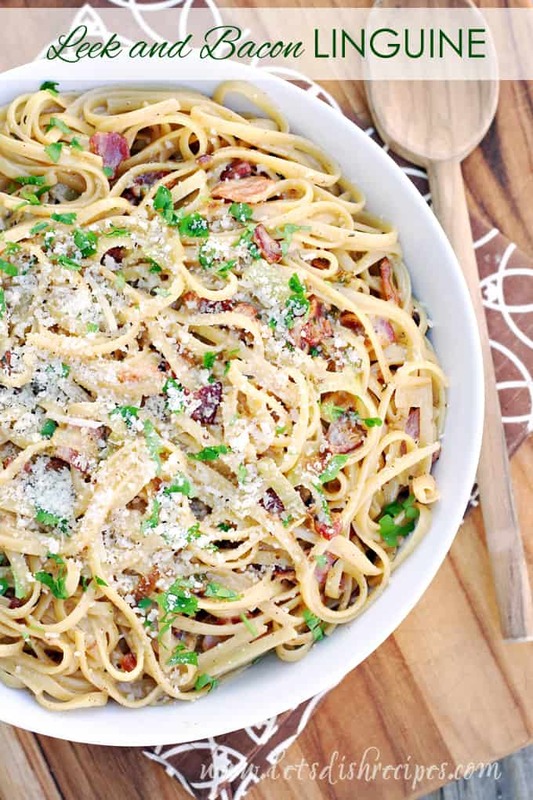 Be sure to save this Leek and Bacon Linguine recipe to your favorite Pinterest board for later. Fresh leeks, bacon and linguine come together in a simple butter cream sauce. Melt butter in a large heavy pot over medium heat. Add bacon and cook, stirring often, until fat is rendered and bacon is crisp, 7-10 minutes. Add leeks and season with salt and pepper. Increase heat to medium-high and cook, stirring often, until leeks begin to brown, 5-8 minutes. Add broth and stir to remove browned bits from bottom of pan. Stir in cream and thyme. Bring to a boil, reduce heat, and simmer, stirring occasionally, until sauce is thickened and coats the back of a spoon, 5-8 minutes. Meanwhile, cook pasta according to package directions. Drain, reserving 1 cup of the pasta cooking liquid. 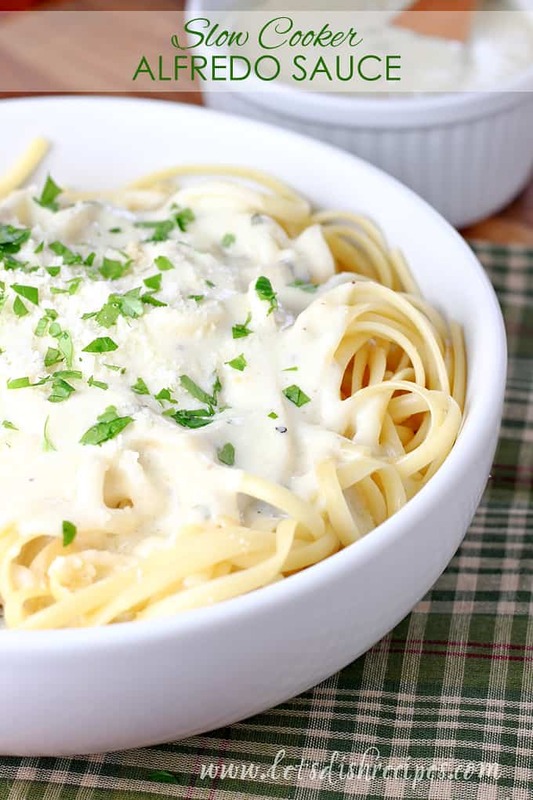 Add cooked pasta, 3/4 cup Parmesan cheese, and 1/2 cup pasta cooking liquid to the cream sauce and stir to coat. Add more cooking liquid as needed, until sauce reaches desired consistency. Season with salt and pepper, to taste. Before serving, garnish with additional Parmesan cheese and fresh parsley, if desired.